Infographic creator Infogr.am is celebrating a milestone today: 1 million graphics have been created on its platform. 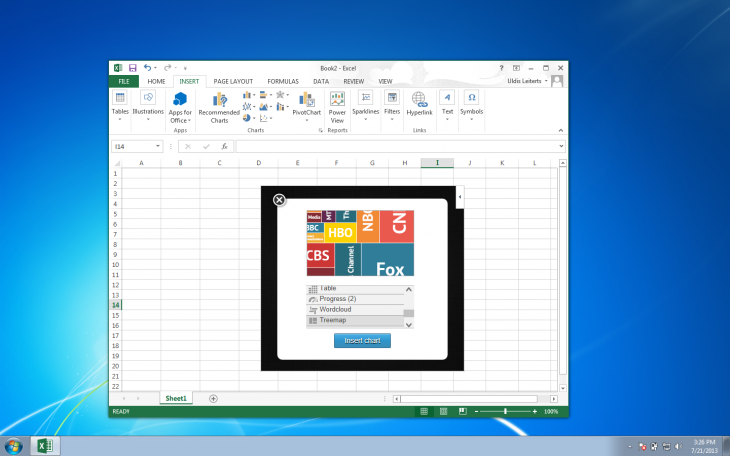 In conjunction with this news, the company is also releasing a Microsoft desktop app that pairs its service with Excel. One of the winners from our conference in April, Infogr.am makes it easy to take data and creating infographics quickly in an organized and creative manner – something much better than what you can typically get from using Excel. Company co-founder Uldis Leiterts tells us that Infogr.am 500,000 users are currently making 100,000 new infographics each month. Other interesting statistics Leiterts pointed out to us include: content created by Infogr.am’s users are seen by 3 to 4 million unique visitors monthly with a 25 percent growth month over month. Infographics are available in every language and from all countries, with the exception of North Korea. As we mentioned earlier, the company helps to create better looking infographics than what you would get from Excel – and let’s admit it, when you produce a chart or a graphic, it looks flat and doesn’t pop out (you can always tell what was created in Excel). Infogr.am says that there are “many creative people” in finance, education, and other industries and feel that by integrating its service into Excel, it will help workers create better designed data visualizations. All data created with Infogr.am’s desktop app will be stored in the cloud, synchronizing automatically. Once integrated, users can take their Excel data and, instead of using the de facto chart creation tool, can elect to use Infogr.am’s service. Other spreadsheet software integrations are planned, but the company hasn’t released any timetables for its execution. However, it does say that it finds Google Drive interesting. 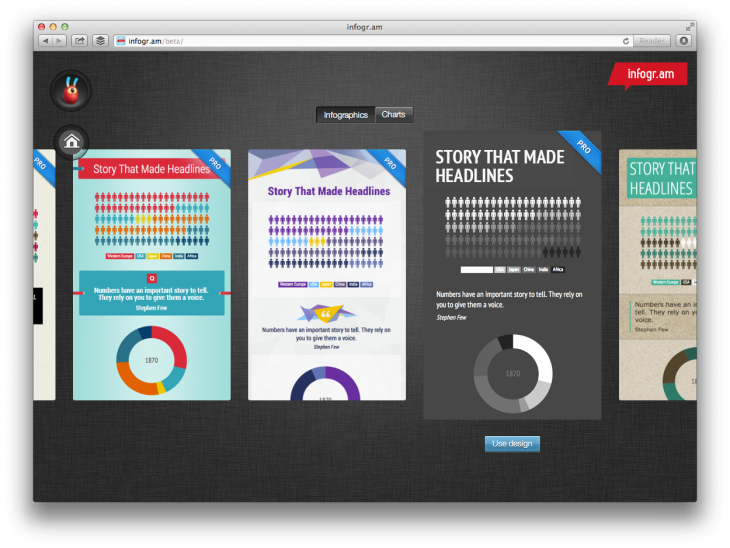 Infogr.am launched in May 2012 making it easy for journalists, marketers, PR professionals, and others to create graphics. It is going head to head against the likes of Visual.ly which revealed in 2012 that it had seen 2 million visitors per month and over 11,000 charts and tables created, and that 500,000 people have used its Twitter Visualizer tool since its launch in July 2011.